It’s said the best things in life are free, right? Costless features abound in Eau Claire to get you out exploring and connected to the city! And as the weather continues to warm up, it’s time to shed the puffy jackets and soak in the beauty of this time of year. The city comes to life, the sun is shining, flowers are blooming, music is playing... and EC has the perfect activities to get you out enjoying this perfection, for free! You won’t regret it, and your wallet will thank you for the cheap thrills. Converted railroad bridges, river views, and thirty miles of trail, oh my! 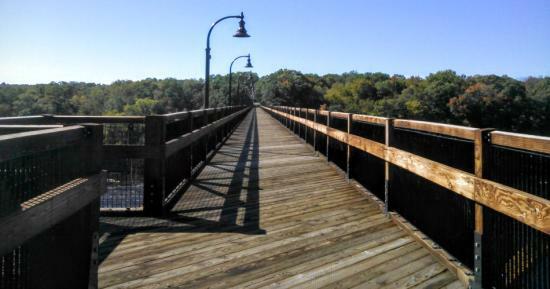 Whether you love to bike, run or walk, this trail is a piece of paradise to take in fun sights of Eau Claire and neighboring communities. Beginning in Phoenix Park, the trail meanders through town alongside the Chippewa River. For those looking to go the distance, you can cover the thirty miles all the way to Durand, taking in more countryside and even more river views! The entire trail system is a great free activity for those on foot. Bikers and rollerbladers – beware that a trail pass is required for you on some portions of the trail outside of city limits. Nothing helps kick off summer like outdoor concerts! And lucky for us, we can gather for some free outdoor jammin’ every Thursday night at Phoenix Park! From June to August, gather your friends and some blankets to sprawl out around the amphitheater and check out new, local bands and artists! Hosted by Volume One, the outdoor jams, food vendors and more run from 6:30-8:30 p.m. on Thursdays. If fresh produce, bright flowers and supporting local growers spark your interest, the Farmers Market is a must stop for you! Load up on fresh, local veggies and fruits, breads and stunning bouquets of flowers at the market located at the Phoenix Park pavilion from June to October. 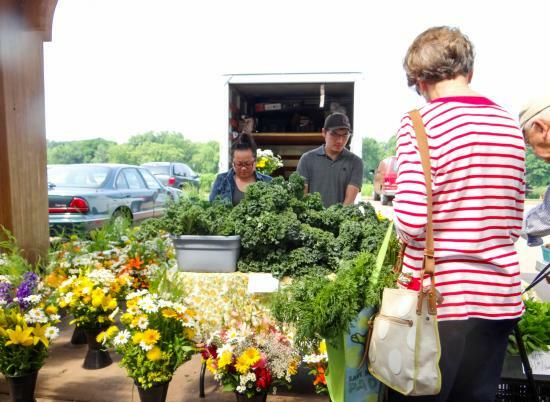 During the summer months, the market runs from 7:30 a.m. to 1 p.m. on Wednesdays and Saturdays, and from 12-5 p.m. on Thursdays. Located at the confluence of the Eau Claire and Chippewa Rivers, Phoenix Park is a gem to stroll through and be immersed in the downtown experience. 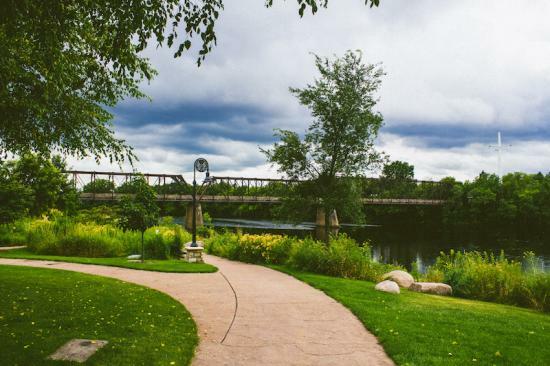 The trail winding along the riverfronts is lined with beautiful blooms and is the perfect backdrop to enjoy downtown Eau Claire’s beauty. 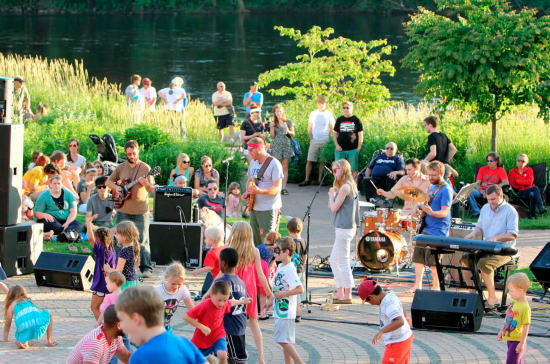 Home to the Farmers Market, concert series and a launching point for floating the river, Phoenix Park is a perfect place to get your feet wet in the Eau Claire experience. 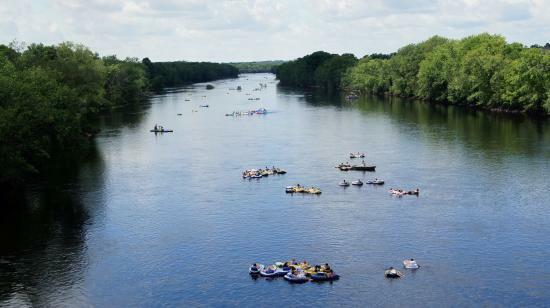 Swimsuits + sunscreen + tubes = it’s time to hit the river! This is the perfect equation to enjoy a warm summer day with friends! You won’t be able to wipe the joy off your face as you float around Eau Claire soaking in the sun. See the city from a new perspective that no road can offer you. An easy, popular launching location is in Phoenix Park. 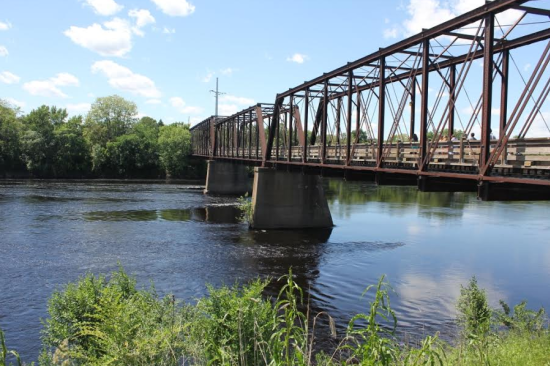 Float past the university and get out at the boat launch on the Chippewa River State Trail (located on 10th Avenue, just south of Hobbs Ice Arena). If you haven’t been touring the collections of amazing sculptures delivered to our city every May, you’re missing out! These sculptures, created by artists all around the country, are lent for our enjoyment as we serve as their temporary home. 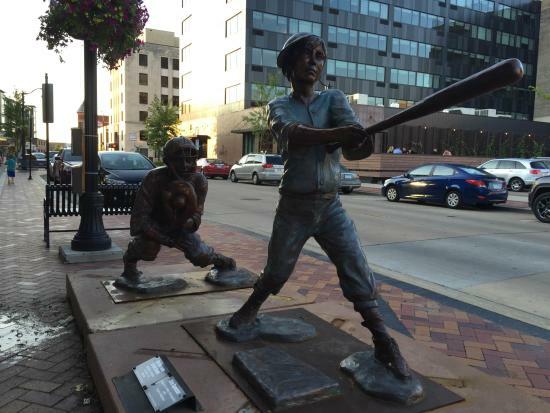 But what’s even more exciting is that YOU can play a part in making Eau Claire the permanent home of some of these works of art! Head to Barstow and Water Street districts, admire the art and cast your vote for your favorite to stay! Official ballots are dispersed in boxes near the sculpture locations. Eau Claire’s river life identity is perfectly paired with the footbridges you can take to cross these waterways. Hit the trails, and you’re sure to stumble across these majestic bridges dispersed throughout town. And among these, picturesque converted railroad bridges will spice up your walk around town and provide awesome photo ops! With backdrops of the rivers, Banbury Place, city shots and more, these bridges are a treat you should be incorporating into your walks ASAP! 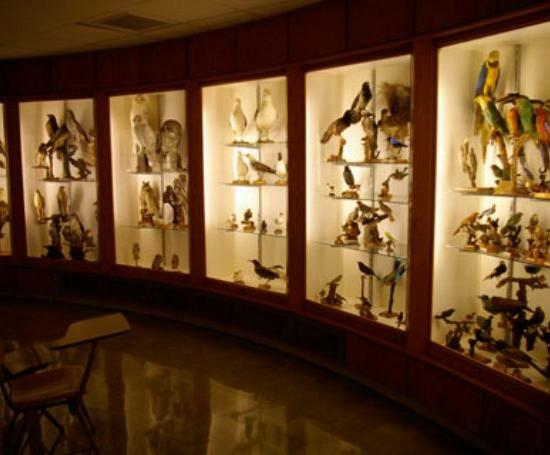 If you enjoy bird watching, but wish you could get closer views, the James Newman Clark Bird Museum at the university is a great place to check out! The museum is home to more than 500 native bird species on display for you to admire and study without needing any binoculars! The museum is located in the entry of Phillips Science Hall at UW-Eau Claire, and is open from 8 a.m. to 5 p.m. Monday through Friday. Located in Chippewa Falls, Irvine Park is a place that offers something for everyone. 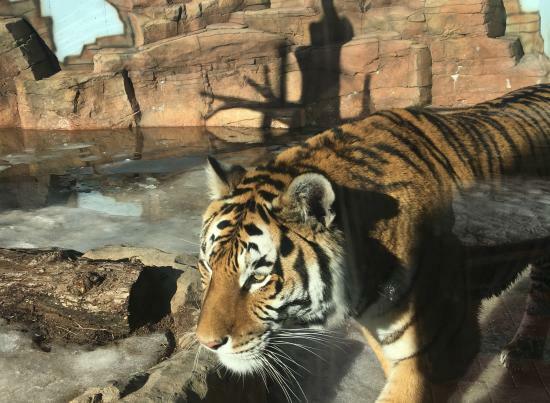 If animals are your thing, you can spot everything from tigers, bison and black bears, to cute farm animals in the petting zoo. Recreation areas and playgrounds for kids and adults alike are scattered throughout the park. Hiking the property will offer neat views, including a historic schoolhouse, a log cabin and the zoo animal habitats. Pack a picnic and head to Irvine Park for the day to enjoy all of these things and more that the park has to offer! So you see, some of the best memories made in life can truly be free! Get out and get exploring our beautiful area! And don’t forget the best things in life are also shared. So be sure to invite your sidekicks along, let your dog explore the trails with you and lastly, share these memories by using #CaptureEC.